The whole experience of gaming can depend on the quality of the TV you're playing on as well as several other relevant factors. Therefore, when we're considering all the contenders for the best gaming TV, it is essential to think of everything positive as well as negative about the TV. Gaming is a lot of fun and having the right equipment to play your games can be a total deal breaker. We've chosen what we consider to be the top 10 best gaming TVs on the market right now and we want to tell you a little more about them. 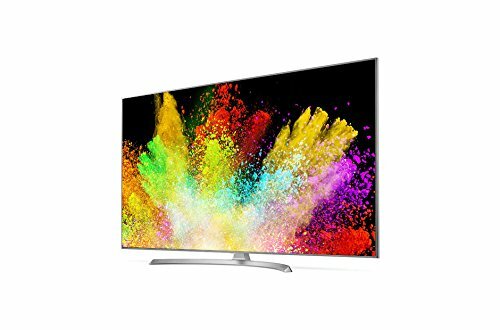 What to Look for When Buying A Gaming TV? 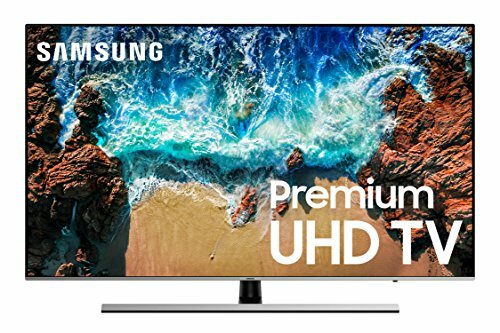 What Size TV Is Best for Gaming? 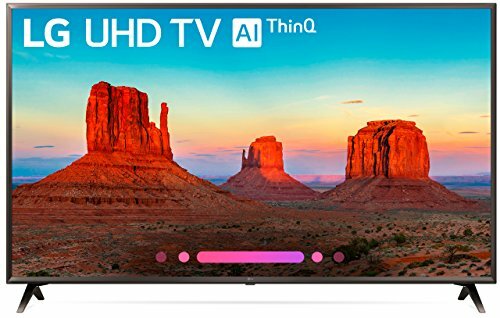 Best Gaming TV for PS4? Best Gaming TV for Xbox One? 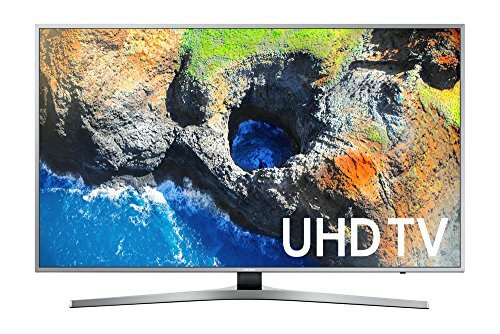 How to Setup Your TV for Gaming? What Makes a Good Gaming TV? Since the surge of console gaming in recent years, TVs are now popular than ever before. A lot of the newer TV models have a lower input lag which is great news for any avid gamers as it means you can easily play games and feel indulged in a fictional world of zombies, car chases, and even police shootouts. We've put together a list of our top 11 favorite picks along with some reviews. If you have any questions, they're most likely going to be answered on our buying guide too! 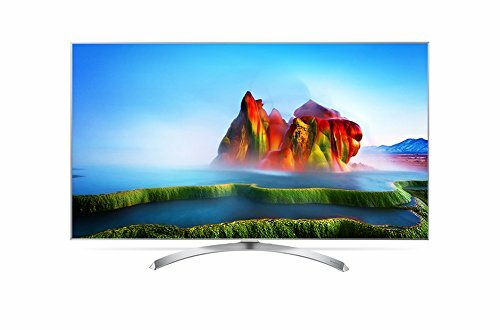 Fitted with smart features and a 4K resolution, the LG 65SJ8000 model has an excellent picture quality and a perfect low input lag. Any gamer out there looking for a new companion for a reasonable price, you'll definitely find it with this LG model. 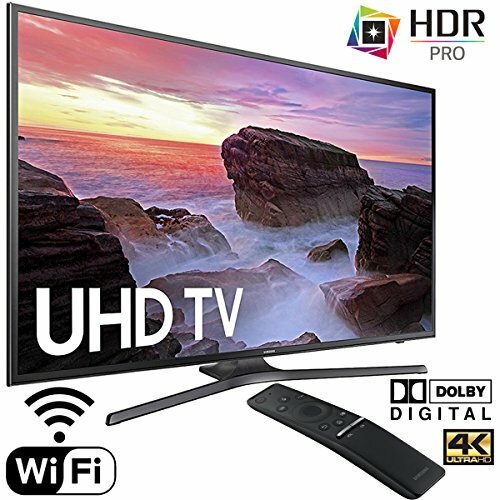 This great 65-inch TV has a wide viewing angle and is very responsive for gaming, so there's nothing to worry about as soon as it's set up, you can get it going. We can't guarantee you won't feel as though your part of the game itself though, the design set up is totally immersive! The TV screen sits on a curved metal stand which looks modern and sleek, so if you're wanting a TV that can play games and movies too, this is it. Despite not being curved, it is still very thin and ideal for any home that wants a sleek finish for their living room. The picture quality of this LED TV is better than average and can create a perfect gaming experience. What more could you want? It has a wide range of colors and very few flaws, it's one of the best gaming TVs on the market. One flaw that many gamers have been disappointed with is the black uniformity, the SJ8000 model renders black scenes more poorly than other LED TVs, and sometimes blacks can look a little gray. Despite this, it's still a great purchase for anyone who wants a gaming TV from a popular and truly loved brand. This 65-inch TV is relatively affordable and can be used as a family TV as well as for playing games! Why We Liked It - It's not only an affordable price, but it will make the gaming kids super happy when they see the picture quality! It's not often you find a TV that is really good for gaming and also provides the perfect movie experience too. Find more reasonably priced 65-inch TVs here. The UN65MU8500F model has all the smart features and gaming extras you could ever need. Its 65-inch screen provides the best gaming experience and allows anyone to get caught up in action. It's a very affordable and reasonable price considering how good quality the TV is! It also has a low input lag, so if that's something you look for when you're on the hunt for a gaming TV, this is something you'll want to consider. It is very stable as it stands on 2 legs at either end of the TV unit. This means if there is any wobbles or knocks during your gaming time, it won't accidentally fall over. This is especially important for anyone with young children as they may bump into it. Gaming can get dangerous when you're winning a race or about to kill your 4th zombie, you need to make sure you're focused on the game and not anything else! The UN65MU8500F model is a vast size, and despite this, it doesn't reduce picture quality. In fact, it gets better. Considering the price, this curved TV is well worth every cent you spend. It has a high contrast ratio and good black uniformity. The local dimming of this model is disappointing for some users, but it's nothing you can't fix with some simple setting changes. It's also not the best for playing movies. So, if you're planning on using this TV as a family one too, you may need to consider other options. Why We Liked It - It's not every day you come across a gaming TV that ticks so many boxes. It has high image quality and works really well with so many games, you're sure to get a perfect gaming experience. Yet, you don't have to pay a high price for it! Despite only being 49-inches, this Samsung UN49MU800F model is perfect for all those gamers who need something on the smaller side. 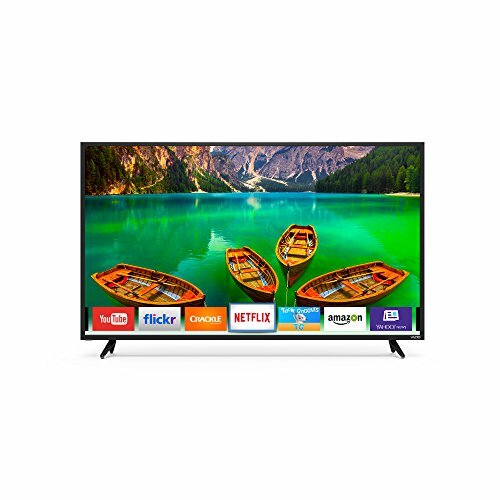 This top-rated 49" TV has a 4K resolution and offers a good picture quality that anyone in the house will love. Good news, it also plays movies and TV shows well too so you can be assured everyone can make use out of it, not just the gamers. It's designed with the user in mind, two stainless steel legs that allow it to stay stable while also looking modern and sleek. There's nothing better than a TV that sounds perfect. This MU800F definitely does, it also has a thin side view and very thin borders (of just 0.31 inches!) it's the ultimate modern looking TV. This Samsung model also has good overall gray uniformity and deals with black contrasts really well. This is particularly ideal for any gamer who likes to experience darker, scary games. Yet, this model does have a few minor flaws. One of the most significant flaws in the local dimming feature, it's not the best, and many people have complained about it, but it will only affect you if you're planning on watching movies on it rather than just playing games. The MU8000F is generally good and will give you a gaming experience to remember. If you plan on playing your video games a lot, then this is a TV you definitely want to add to your wish list. Why We Liked It - It's an ideal size for those who only have a smaller space to put their TV in. It's also an excellent choice if you want to mount it onto the wall (which is a popular choice with families). The UN49MU800F is reasonable and relatively affordable but still has a high quality which is something to love! Perfect for any gamer looking for a good quality picture and impressive sound, this LG model is super lightweight yet stable on its stands. It doesn't have a curved design, but the borders look sleek and small giving it an overall streamlined modern feel. 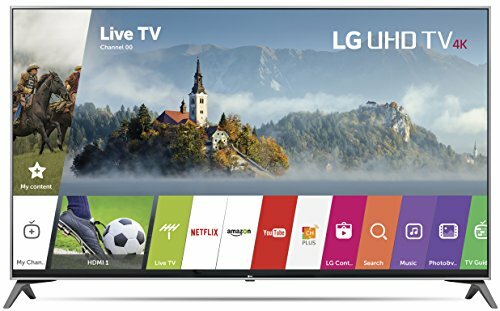 The LG 65UJ6540 model is great at handling motion so if you're looking for a TV that still feels as though you're in the game, this is it. When the gaming TV is viewed at an angle, the colors remain so if you're wanting to use this TV as your family purchase, then that's totally fine too. It's a large TV coming in at 65 inches, so it is ideal for any family home that is in need of a new gaming TV. It is such a reasonable price and only has a few flaws considering how little it costs to buy. Both the black uniformity and contrast levels are better than average, so when you're involved in some dark gaming action, you will be able to experience it to the maximum. Also, this UJ6540 model has a 10-bit gradient that performs well meaning the colors appear smooth when they're displayed on the HDR TV. One issue is that this budget TV for gaming has no local dimming which can improve light when you're in darker rooms looking at dark scenes, and it has a high input lag when the TV is in HDR mode which can affect how you play the game. Why We Liked It - Reasonably priced gaming TVs have a negative element to them, gamers tend to think that they won't be great at displaying their favorite scenes but they're sometimes better than you think. This LG HDR TV shows colors smoothly and handles motion blur really well, it's a budget gaming TV you won't forget! However, don't foget the high input lag in HDR modes. Perhaps you're looking for the best low input lag TV around? Well, look no further. This Samsung UN65MU6300F model has an input lag that is noticeably better than average. When compared to its counterparts, always comes out on top. Yet although it's not the best 4K TV for gaming graphics, it's still got some great features that you're sure to love. Despite not having a curved screen, it is still pretty sleek and modern. The borders are made of plastic and are of average width but what we like about this model is the V-shaped center stand that is just merely iconic of Samsung TVs. Many of their models have a similar look, but it's still great. Yet, you may need to be wary of young children are around as if it's knocked, the TV does wobble. It has a better than average picture quality and amazing black uniformity so if you're a gamer wanting to get lost in the gaming world, you definitely can. Switch off your lights and close your curtains because you haven't experienced gaming like it until you get the room as dark as you can! 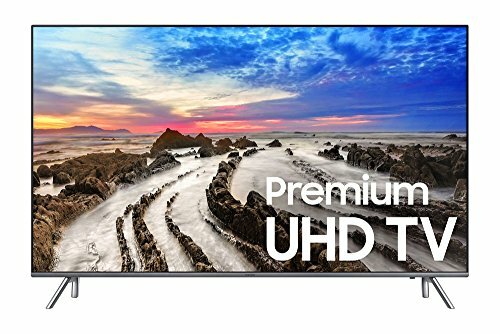 The Samsung UN65MU6300F is rated highly for video games but lacks some HDR content capabilities which limit the unit when it comes to movies and TV shows. The picture quality also degrades at an angle, and it isn't seen as the best 4K gaming TV because the design could be better for the price point. Considering it's such a favorite brand, this TV could be a lot better. Why We Liked It - It's not the best 4K TV you can buy on the market, but it's a great gaming TV. It's huge too so if you like playing games on a larger scale then this is a great choice. If you're wanting something a little more versatile then this 4K LED TV has a low input lag and great peak brightness. As well as being able to play video games on it, you will be able to make use of the extra smart features and motion blur handling. Everyone in the family will be able to enjoy a play on the games since it' a huge 75 inches wide! It's smart and sleek design is excellent and loved by many gamers and TV owners across the world. It has a small footprint as the stand is a simple horizontal metal piece. Despite only having one center stand, it's a really stable TV with super compact borders (only 0.35 inches!). The overall picture and contrast quality are excellent considering the price, and we would highly recommend it to any gamer looking for a new purchase. It only has minimal issues, which include; the colors degrade when viewing at an angle, and the sound quality could be improved. Since you'll be wanting to play your favorite games on the TV, this may cause problems if you need to hear any small sound. Why We Liked It - Why should you have to pay a massive amount for a good quality gaming TV? Well, you shouldn't! It should be about what brands can create on a budget, and this UN75NU800F model reflects this. It has a high picture quality and is perfect for playing any games you want - whether that's fighting games like God of War, or family games like Mario Kart! Anyone looking for a budget gaming TV, you're in luck with this pick. Vizio is known for their good quality yet reasonably priced TVs, and the D55 E0 model is no different. It has a great picture quality but isn't a 55inch 4K TV (it's still 1080p though!) and has good local dimming too. It's also 50 inches which is the perfect size if you want a decent gaming TV for your living or gaming room. The TV unit is placed on two black edged stands that are shiny and thin, but they do look a little cheap for TVs. When compared to other models, this design isn't as sleek or modern, and this does limit how much we like it. It's also a little thick when viewed from the side when compared to other models which can be disappointing. Yet, it doesn't take away from the quality of the TV itself. 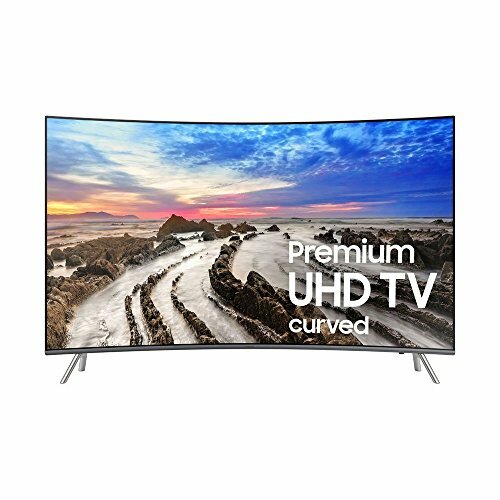 It also has smart features so if you're going to be using this purchase as a family TV as well as a gaming TV, then you'll be able to make the most of it! Despite liking the sound and image quality of this unit, it lacks a lot of character. It's one of the older models on the list which means you won't be getting the latest display technology, but it's more of a you get what you pay for situation. Why We Liked It - We don't always want to pay a small fortune for a new TV, and that's why getting on that's made with a budget in mind is ideal especially for smaller families. It's still a good budget TV for gaming and has a low input lag, so it's quite a good purchase. Another ideal pick is this 4K smart TV from Samsung. The UN55MU7000F model has a low input lag and can produce a wide color gamut so any avid gamer can make the most out of this new purchase. If you're wanting to show off your gaming skills, then this Samsung 4K TV for gaming is the perfect choice for you. Its sleek design will take your breath away, and you'll have to rethink your choices when you see it's incredible image quality. Despite this, this Samsung Smart TV does have some flaws, and one of these is more significant than the others. For a Samsung model, it's quite highly priced. Typically, we only find TVs are more expensive when they provide a lot of extras, and the model doesn't. The UN55MU7000F Smart TV could also be brighter as it does tend to affect gaming quality and the picture has been said to deteriorate at an angle. The Samsung Smart TV is too warm to tough when it's been on for an extended period of time with the backlight LEDs on. This doesn't cause problems but is something to consider when you're researching your options. Why We Liked It - It's a good quality, sleek-looking 4K TV for gaming with a lot of potential. It's not everyone's ideal choice, but it's a great option if you don't know what to choose. There are flaws, but this is only to be expected when it's such a large size! 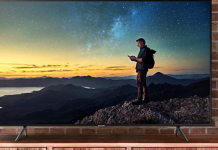 The largest (in size and price) TV on this list is Samsung's NU8000 series model. 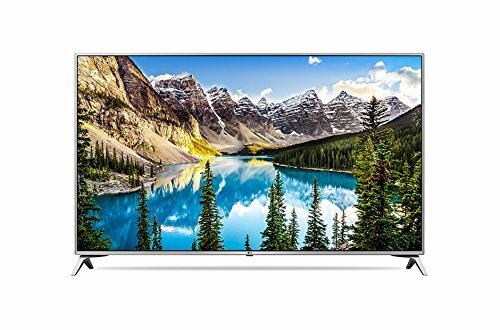 It's a premium 4K TV with a hefty price point and a lot of mixed reviews from customers. Likewise, to other Samsung models, it sits on a center metal stand that stops it from wobbling too much, and it's still a great sleek design. Samsung's NU8000 series model ideal for gamers as it has a low input lag allowing all the games you play to be experienced ultimately. And, it handles motion blur great too so you'll always be able to see what you're playing, even when it's action-filled. Despite some good points to consider, the Samsung NU8000 does have flaws. The picture quality degrades when you view it from an angle, and it isn't the best choice to play movies and TV shows. Therefore, if you're wanting to use this Samsung NU8000 for family time, it shouldn't be your first and only choice. It's a huge 82 inches wide which makes it the biggest TV on this list, while this could be seen as a positive aspect. It's mostly a negative one. Since it's so big, it's ideal for multiple player games on one screen, but if a single player wants to use it, it can be overwhelming. The bottom line is that you may miss small details of the game you're playing which is not good especially if they're essential! 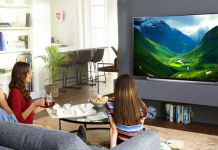 Why We Liked It - Large TVs are always amazing to watch movies, and your favorite TVs shows on, so if you're stepping aside from gaming for a little while then, this Samsung NU8000 is a great pick. The sleek metal design will match any modern home and look extra fancy. The design of the LG 55UK6300PU is very basic and kind of boring. It's functional and doesn't have too many flaws, but it lacks a lot of personality and character. Where other models have extra features and stand out from the crowd. This model will just blend into the background. Despite this, it feels quite responsive as it has a low input lag and it remains accurate even when viewed at an angle. Yet, there are so many flaws with this model. It may look fine and play images great too, but the black uniformity could be a lot better. Most of the time, blacks appear gray, but this isn't as noticeable when you're in a more brightly lit room. The borders are a little thicker than other high-end models, but when viewed from the side, it's a bit thinner. It's ideal if you're wanting a gaming TV mounted to the wall. This model also stays relatively cool even after you've been playing it for a long period of time. Why We Liked It - While it is a basic TV, it still is able to play games well and is a reasonable price. If you're not too bothered about having extra features, then this is a great choice. LG is a brand that so many gamers love, not much can go wrong with a purchase like this. This Ultra HD TV performs well for both sports watchers and gamers, but it's not so good for watching TV shows and movies. It has smart features you could use if you're planning on getting a gaming TV to use as a family TV too. Yet, this LG Ultra HD TV lacks a lot of character that other models have. There are multiple reasons this LG 55UJ7700 model is sat at the bottom of our list. 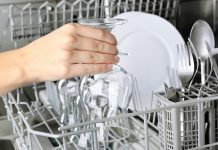 It only averagely handles motion so if you're planning on playing a fast-paced game, then you may have trouble seeing everything as it goes past you. 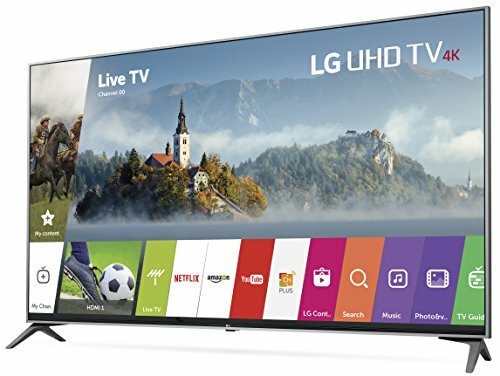 The sound quality of this LG 4K UHD TV is also below average, and anyone who prioritizes it may want to see what else is on offer. However, it is a good Ultra HD TV and reasonably priced! Any gamer would be happy to take this low input, bright TV home with them. Why We Liked It - This LG 4K UHD TV is relatively affordable and available for any gamer on most budgets, but the bottom line - it is still excellent quality (and has a 4K resolution!). There's not much else to ask for than a 4K UHD TV that performs well and has extra smart features. You want the best possible experience and want to make the most of your money, right? That's why you've got to keep updated on the latest trends and what to look out for before you make a purchase. There is such a range of TVs for gaming out there, you need to make sure you buy the best one for all your gaming needs. 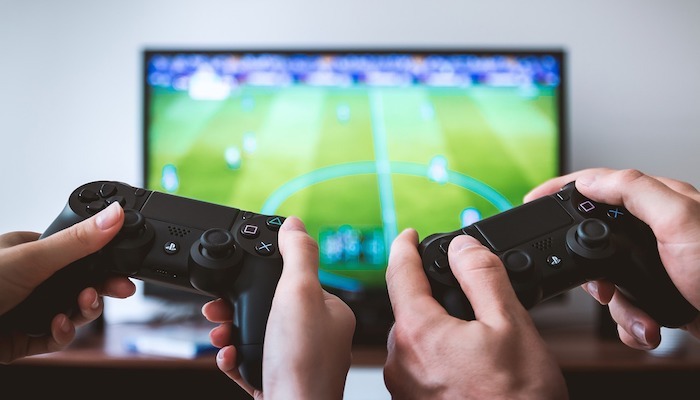 By keeping yourself clued up about these factors, you're bound never to want to put your console control down - whether that be a Nintendo Switch, Xbox One, PS4 Pro or another epic console! 4K resolution gaming is a relatively new thing, but it's becoming a big deal. Before you purchase your new TV, think about whether you want the 4K experience when you're gaming. Having one of the top 4K Gaming TVs is not a complete deal breaker, but it does enhance your overall satisfaction. Typically, you're going to pay more for 4K TVs for gaming in general, but if you're going to be playing it a lot, then you might as well spend a little more. Also, consider the console you're going to be using too as the older non 4K TVs for gaming may not be compatible with the 4K resolution on the TV meaning it's pretty pointless. One of the main reasons gamers tend to stick with PC monitors as their gaming companion is that they have perfect response times and frame rates. The top gaming monitors smash any TVs out of the water, until recently. With newer display & panel technology, brands have started releasing TV models with lower response times and high frame rates to ensure an all-around perfect image quality for when you're playing games. Are we ready to say goodbye to gaming monitors? Before purchasing your new TV, take a look at these essential qualities just to see if you can get a better deal on it. You will pay more money for these TVs, but it's all worth it for the gaming experience you'll have. This is a real essential if you're going to be playing lots of games on your new TV. Input lag is the amount of time that elapses between a picture generated by the source and then appearing on the screen. The lower the input lag, the better, if you're wanting a gaming TV. There are so many models out there with low input lag, so it's more of a case of asking before you buy it! Screen sizes are essential but bigger isn't always better. While larger screen sizes are perfect for watching movies or your favorite TV shows, they're not always ideal for gaming. You want something that works with the games you play. You may also want to take into consideration how far you will sit away from the TV. The further away, the bigger you'll need. Yet, bear in mind that if you're playing an action-packed game where people can creep up on you, you need to think about how much surface your eyes can cover. You don't want to be consistently dying in one game because the TV is too big. Anything between 40 and 50 inches is a good size for a TV as it's not too big but also not too small either. The Samsung UN49MU800F model is a perfect for any avid PS4 player because it's just the right size and has amazing image quality. The LG 65SJ8000 model is the choice any Xbox One player should opt for, we love the picture quality and sleek design of this one. It's not a complicated process to get the perfect gaming picture, it only takes a few steps to get your TV gaming ready, and this is sometimes in the manual of your TV guide. If it's not, below is a quick rundown of some steps you can take to make sure you have the best gaming experience. Backlight adjust (or OLED Light for OLED TV models) this setting allows you to change the light output of the OLED TV to have a better experience. If you're playing in the daytime, then you can increase the backlight, but if you're wanting a more spooky gaming experience at night, then you can turn it right down on OLED screens. Contrast level it won't change the total contrast of the picture quality but the white level. If you rise the contrast level, then the whites/colors will become merged and lowering the bright and contrast level they will separate again. Having a lower contrast level will allow for all the individual aspects of the game to stand out more and give a better gaming picture quality. Brightness on newer models of TV, the brightness level refers to the black level adjustment. You can use it to adjust the black clipping point. If you rise the control too up, then the blacks will become gray, and the picture quality will look worse. Yet, if you lower the control, you may see also darker shading effects which can negatively affect your experience. Get your brightness level right, and you'll have the best gaming TV around. If you're wanting a good gaming TV, then there are many elements you'll need to think about. 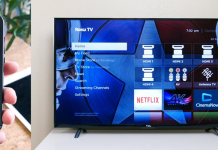 Some aspects make a TV better, and this is something to consider before purchasing a new one. We've listed some key points that make a good gaming TV so you can look out for them when you're searching. Despite what people may think, you can purchase 4K gaming TVs for under $1000 and still have change. The more expensive TVs for gaming aren't always the best, it's about the quality and the extra features that will make it a better TV to game on. LED stands for the light-emitting diode which is a device that produces light on electronic equipment especially TVs!